We will be attending two of the 2011 International Motorcycle Show in California this year. Long Beach will be held December 9th-11th. Motowheels will have Dainese, AGV , OZ Motorbike, GoPro, Oberon, Shorai, Oakley, Corse Dynamics & Brembo on display with show pricing, and as always Motowheels pays the sales tax at all show events. Last edited by moto; 11-09-2011 at 10:03 PM. We have a lot of products with us and of course - great prices. Below is just a sample of what we have. Shorai Batteries: If you haven't had the chance yet, come see the best light weight battery on the market. NK Components: Come see the new quick disconnect brake lines. OZ Wheels: All in stock wheel sets are on sale 10% off of MSRP. 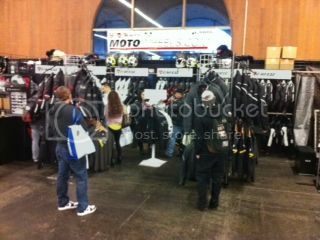 If you haven't purchased tickets yet you can use this code "DLR2012" at www.motorcycleshows.com and save $4. So come by and say "hi". Come by and check out our booth # 1648. We will have quite a lot of products with us and of course at great prices. Below is just a sample of what we will have. Shorai Batteries: Come see the best battery on the market. If you haven't purchased tickets yet you can use this code "DLR2012" at www.motorcycleshows.com and save $4. Come by and say "hi". If you aren't in the area or can't make the show, you can contact [email protected] to see the show prices on products. FYI there is a contest to giveaway FREE tickets to each of the International Motorcycle Show locations, not just CA, here plus a discount code.